I’m working from home today due to terrible road conditions. 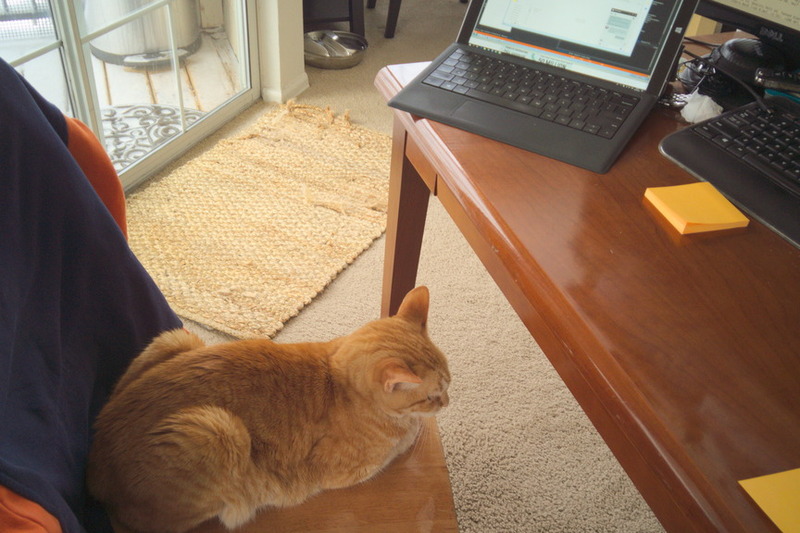 I stepped away from my desk for a few minutes and when I came back, I found I’d been replaced. This entry was posted in Familie, Family, Fotografie, Haustiere, Pets, Photography and tagged cats, Familie, Fotografie, Haustiere, pets, photography, work on 20190304 by matt. We spent the week of Christmas in central Kansas with my brother and his family. Not only did we take advantage of their hospitality, we took the opportunity to use their place as a jumping off point for some exploring. We arrived in Wichita with no plan. Over lunch we were checking the web for things to do, and came across the Kansas Avaiation Museum. 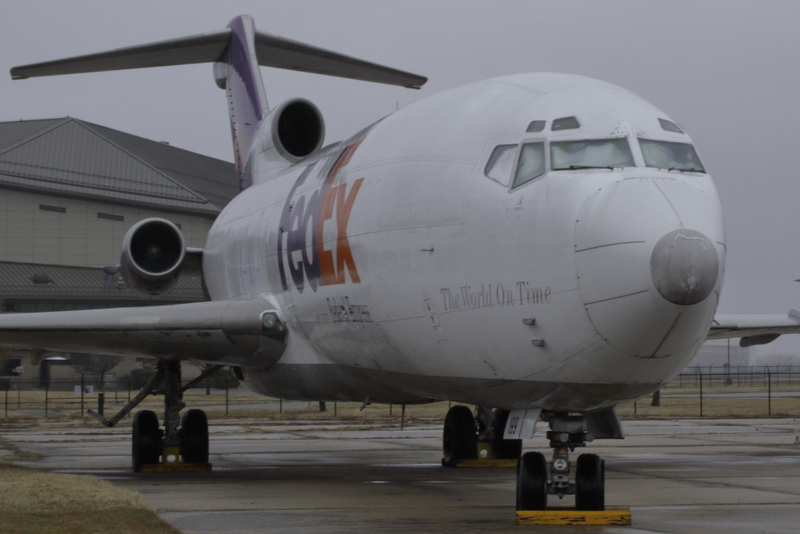 I was stoked to find this Boeing 727 was a part of the museum. Out of all the old commercial airplanes, the 727 is my favorite — and I’m actually pleased to have flown on one before they were retired. But the awesome just kept on coming. Wichita is the home of a lot of aviation history including Stearman, Hawker, Beechcraft and Cessna. Boeing builds 737 fuselages there as well as parts of the 787 Dreamliner. The museum has a great display of the history of Beechcraft and Cessna, as well as a really great collection of planes. 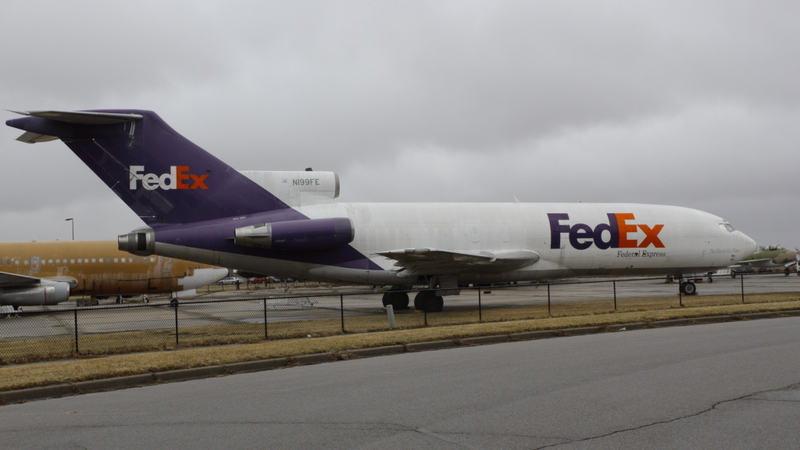 In addition to the 727, they have a B-52, a KC-135, and a 737. It was hands-numbingly cold the day we went, and I didn’t have the fortitude to stand in the cold and take pictures for more than a few minutes. But I’d eagerly recommend this place to any aviation nut. 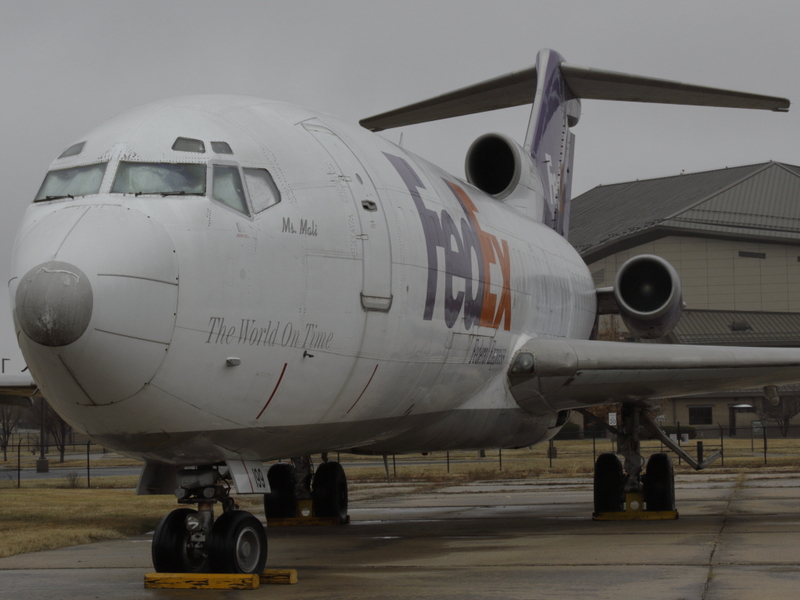 This entry was posted in Familie, Family, Fotografie, Photography and tagged boeing 727, Familie, family, Fotografie, Kansas, kansas aviation museum, photography, tourism, wichita on 20190102 by matt.